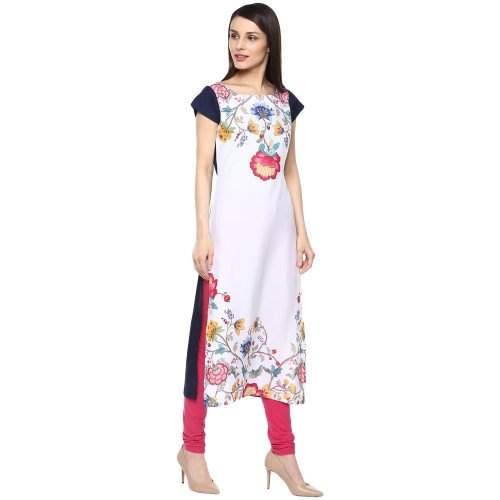 Your Charming Look Will Create A Colourful Aura Everywhere You Go Wearing This White Kurta From Anuswarai. 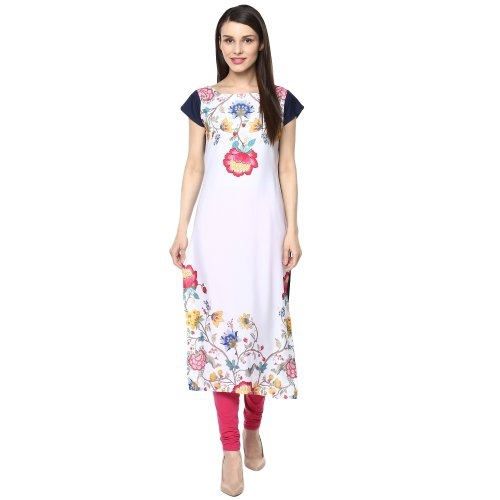 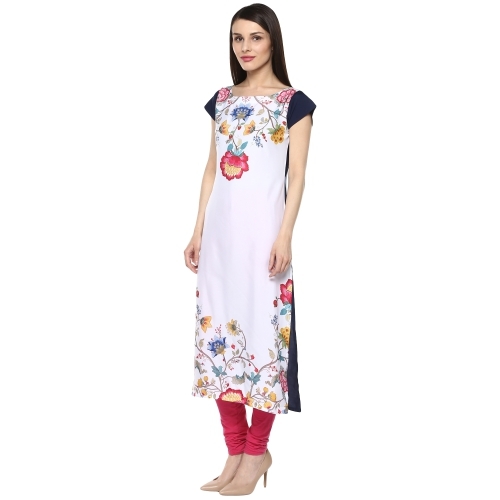 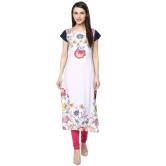 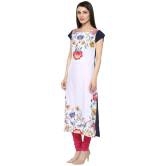 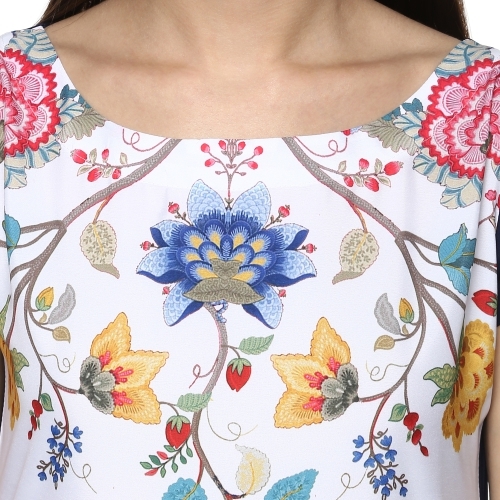 Featuring A Boat-Neck, This Cap Sleeve Kurta Has Slit Sides And Vibrant Floral Print On The Front. 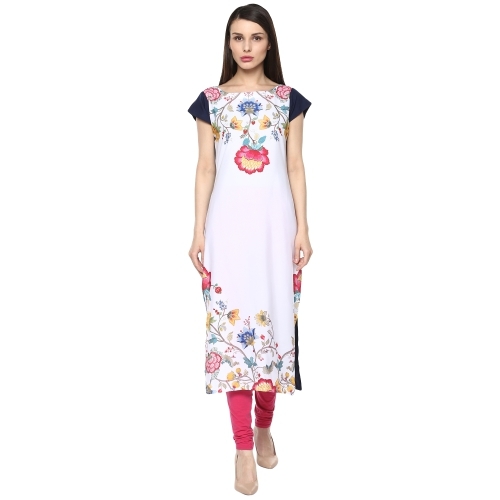 Fashioned From Crepe To Render Outstanding Comfort, This Kurta Can Be Worn With A Pink Churidar And A Pair Of Strappy Sandals To Complete Your Fresh Look.